Howard Lorch started out in business as a savvy 12-year-old working a paper route in Schenectady, N.Y., helping his widowed mother make ends meet for the family. Howard, now a highly successful managing director, Investments in wealth management with Wells Fargo Advisors LLC, member SIPC, credits the University of Houston for stepping up and offering him the crucial boost he needed to learn to excel as a business professional. Lorch graduated from UH more than 40 years ago thanks to an athletics department scholarship he received after being appointed basketball manager for the Cougars. 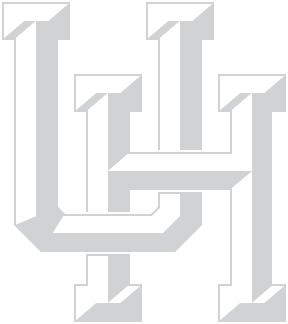 Ever since, he and his wife, Jamie, have expressed their appreciation to UH by actively returning the favor. Their planned gifts to the University ensure a legacy of support they know will continue far into the future. The Howard and Jamie Lorch Athletics Scholarship annually offers financial support to a student athlete who otherwise might not have enough money to pay for college. "Kind of like myself," Howard says. The couple also named UH as beneficiary of a life insurance policy with the proceeds to be used in a myriad of ways. "For me, the most important thing is this will give an opportunity for someone to receive a better educational experience by providing a scholarship, or for bringing in the best professors and programs or improved facilities," Jamie says. Howard added that he and Jamie believe it is far better for people to give than to receive, especially when taking care of family. "Our feelings for this University are that it's like family for us. We think of the University of Houston as kind of our extended family."